TIG weldingis a type of manual welding process where the welder should make use of two hands when welding. TIG actually means Tungsten Inert Gas Welding but it is moreproperly known as Gas Tungsten Arc Welding (GTAW) by the Australian WeldingSociety and other welding organizations. They call this process GTAW when it comes to their welding procedures. Welding engineers also use the abbreviation GTAW when it comes to labeling the procedure on their blueprints. The process involved in TIG Welding differs from other forms of welding. It is the most complex welding process to master. The process differs when it comes to the manner of how the welder will form the arc and add the filler metal. In TIG Welding, the welder will use its one hand to produce the arc with the use of TIG torch. Then, the other hand will be used for adding the filler metal to the weld joint. This form of welding differs from all others due to the fact that the welder requires two hands at all times to perform the process. Although this welding process is complex and takes more time to do, the result is a far higher-quality weld. Welders perform TIG welding to produce critical weld joints, weld metals aside from the typical steel, and produce precise, small welds. This process can also be used in welding copper, titanium, two unlike metals, and producing tricky welds such as s-curves, or welding on round things. 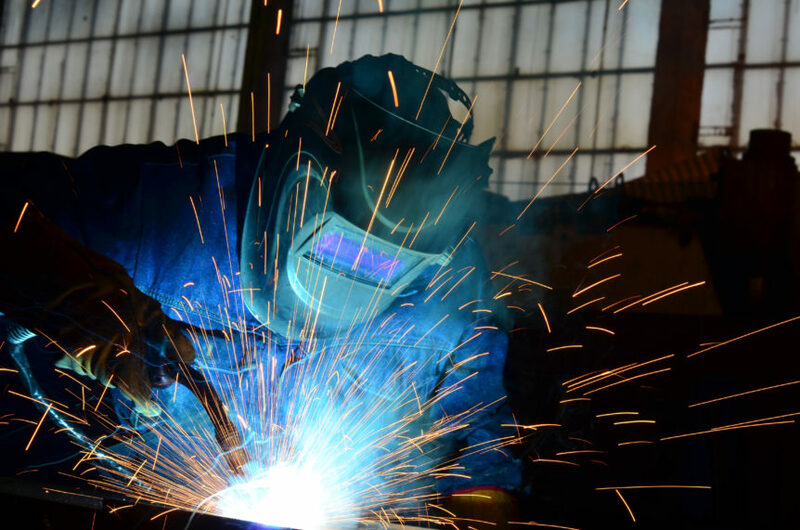 In TIG welding, welders will need heat, shielding, and filler metal. Through creating an arc to the metal, the electricity that flows through the tungsten electrode will produce heat. A compressed bottle of gas flowing to the weld area acts as shielding to protect it from the air. A wire that is dipped and melted into the arc becomes a filler metal. How will a welder come up with these three things that are needed in TIG welding? Using a valve, the first step that a welder should do is to turn on the gas flow for a number of times on the TIG torch. After doing this, the gas will start flowing and it will also start to act as a shield of the weld area from the air. The welder will then have to hold the torch and place it over the weld joint just a little far so the torch will not touch the metal. After that, the welder will step on to the foot pedal which will make the TIG torches tungsten electrode to start an arc. Once the arc is started, the two pieces of metal will begin to melt which will produce a puddle of metal. Once there’s a puddle of metal, the welder will have to dip a welding wire into the arc to fill the joint. The whole process is how a welder can create a piece of metal through TIG Welding.